These days my idea of fun is walking up and down the aisles of Target all by myself. No kids. No interruptions. Just me and the latest home decor from Nate Berkus. 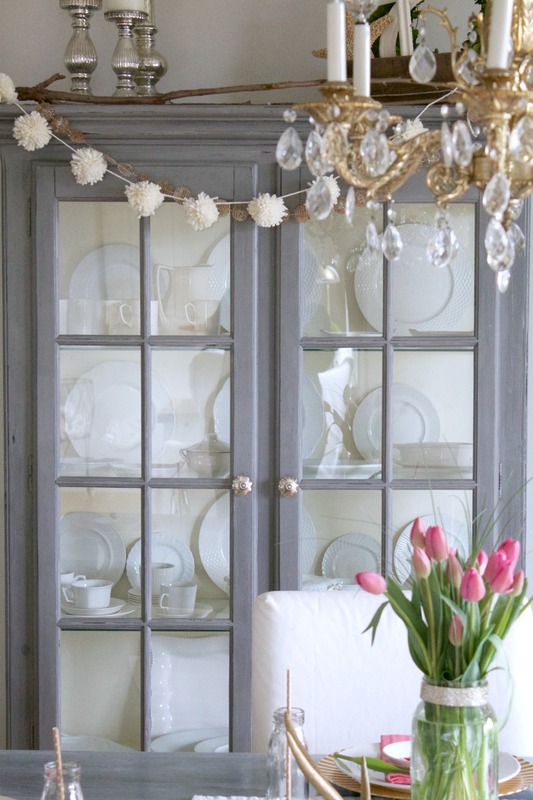 The only thing missing is the glass of wine (what happened to that idea Target?) On a recent late night Saturday trip I found myself in the craft aisle staring at the prettiest yarn. Yarn! Seriously I have never purchased yarn in my life. I don’t knit or crochet. But the colors were so pretty! Well you know what happened next. It magically floated off the shelf and into my cart. 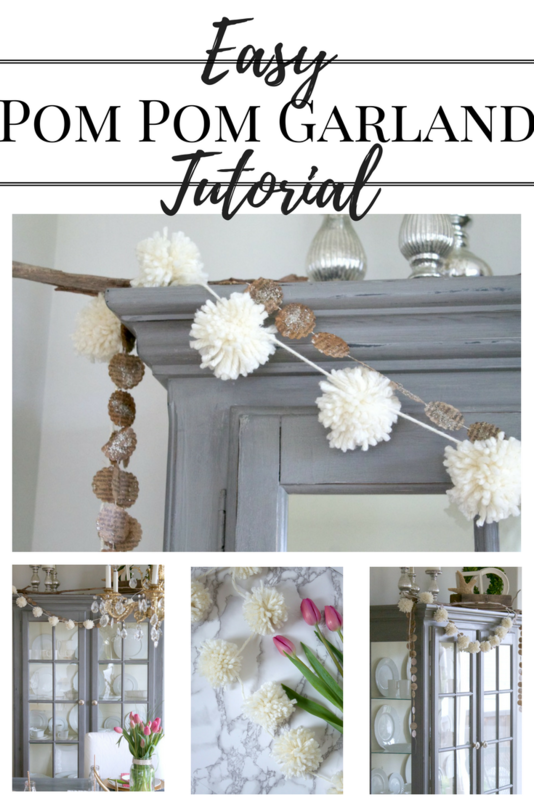 And the idea for an easy Pom Pom Garland was born! This post contains some affiliate links and you can check out my full disclosure HERE. Start by cutting a piece of yarn about 6-8 inches long and set that aside. Next, start wrapping the yarn around your fingers. 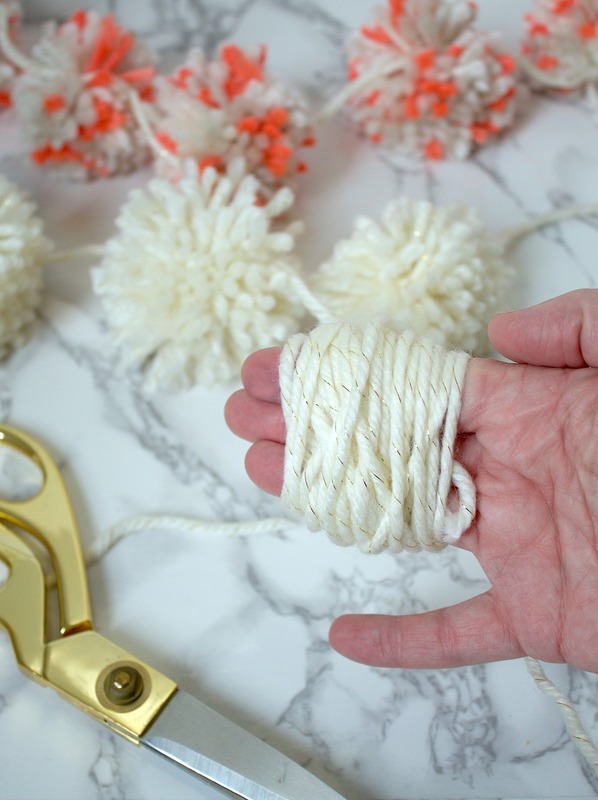 I used three fingers too make about a 3 inch pom pom but you can use just 2 for smaller or 4 for bigger. 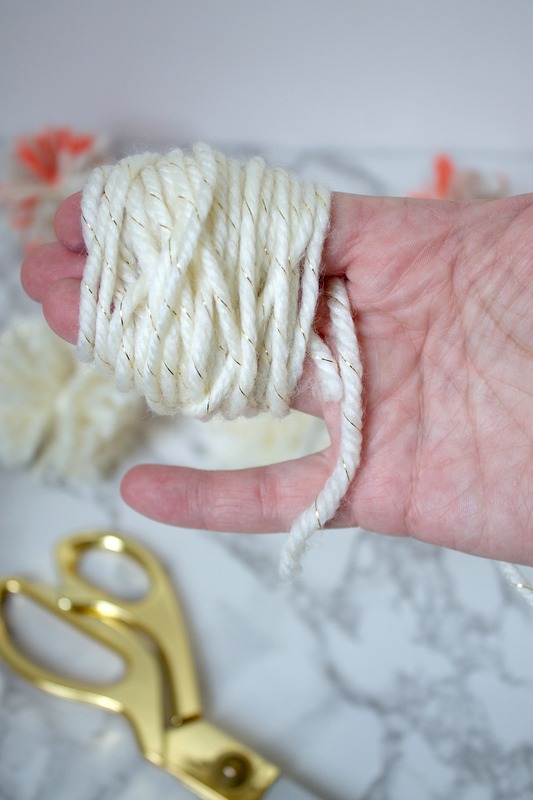 When you wrap your yarn don’t make it so tight that you can’t spread your fingers apart. But not so loose that it falls off. 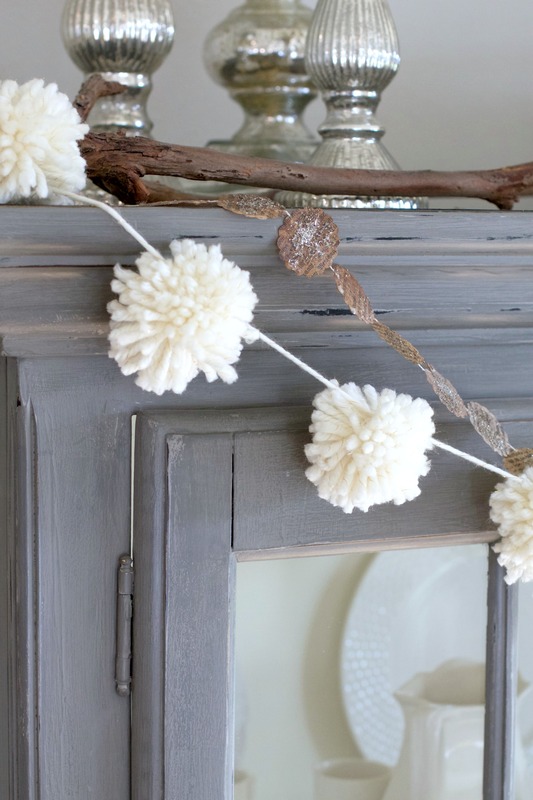 You can also decide how fluffy or dense you want your pom pom. I wrapped mine around about 40 times. 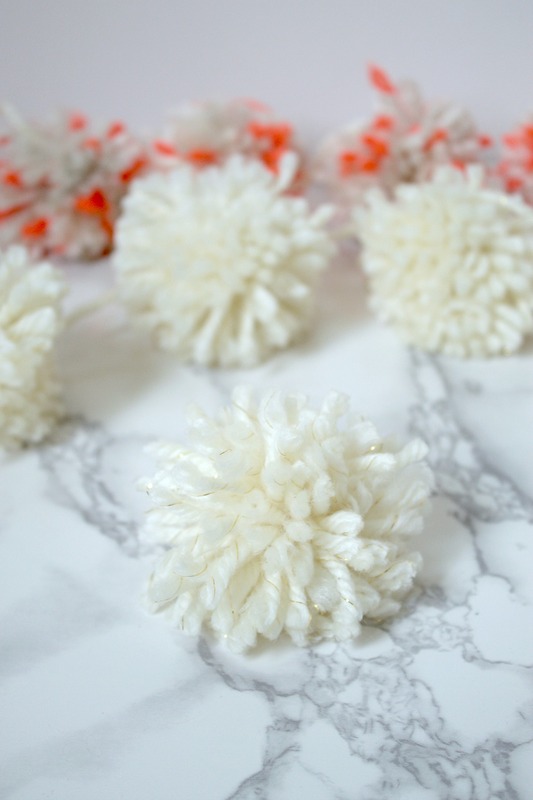 But for a thicker pom pom, keep on wrapping. Now take that string you cut from the first step and thread it from the top of your hand in between your index and middle finger. Then look the yarn back up between your middle and ring finger. 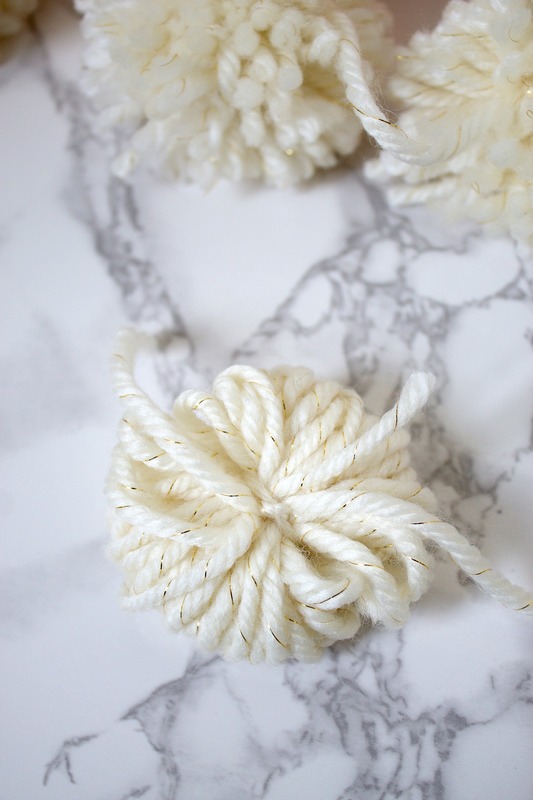 You are then going to tie the 2 ends together tightly while sliding the yarn off your fingers. Yes, you will probably end up holding one end with your mouth while you loop it through or find a friend to help you tie it. You’ll end up with this cute little puff ball. Double knot that string so it stays secure. 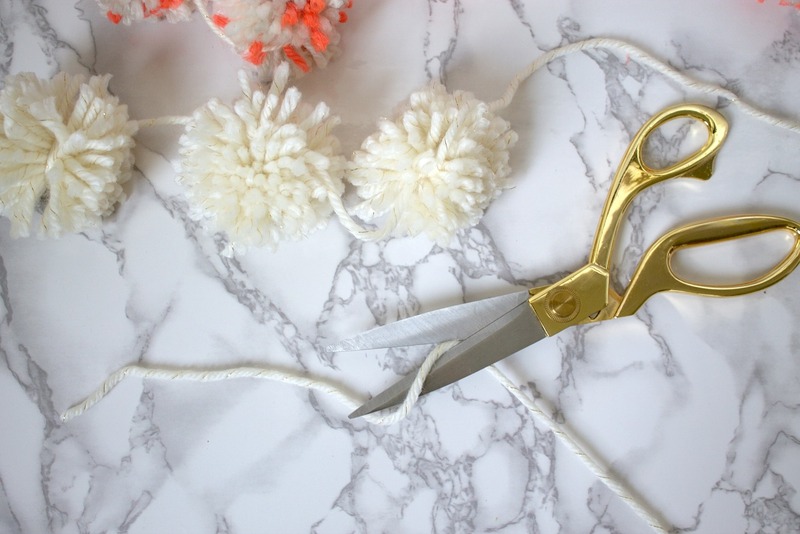 Next, slide your scissors between the loops of yarn and cut them in half on both sides. 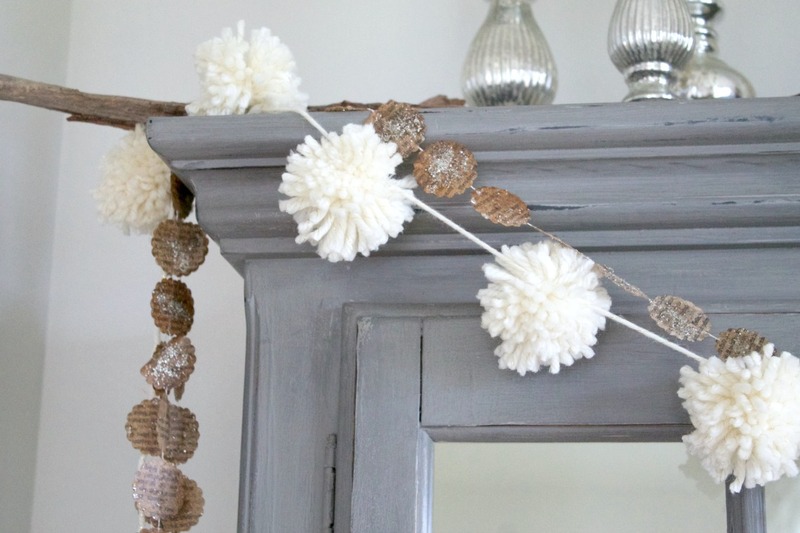 You can then fluff up the yarn on both sides to make your pom pom round. You may also need to give your yarn a haircut to make sure it is even. 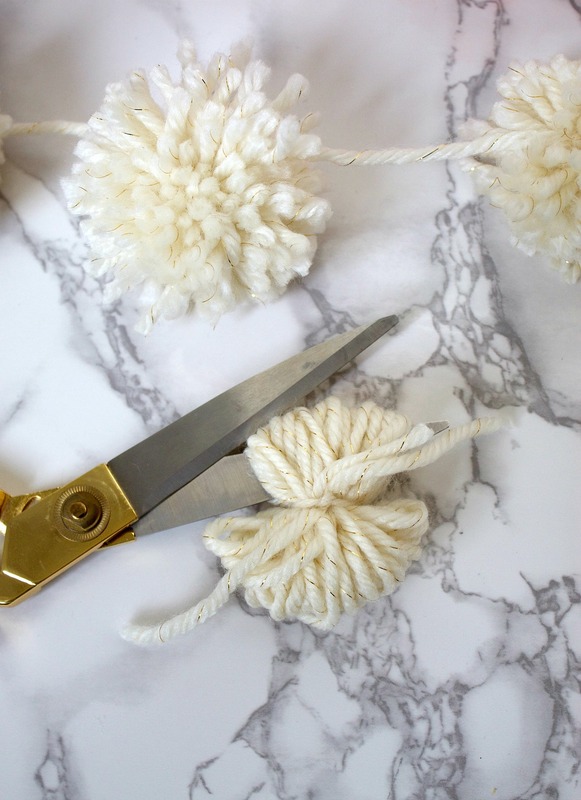 Just go around with your scissors until all the pieces of yarn are the same length. If you plan to use this for gift wrap or something else you might want to leave that 6-8 inches piece of string long that way you can use it to tie. 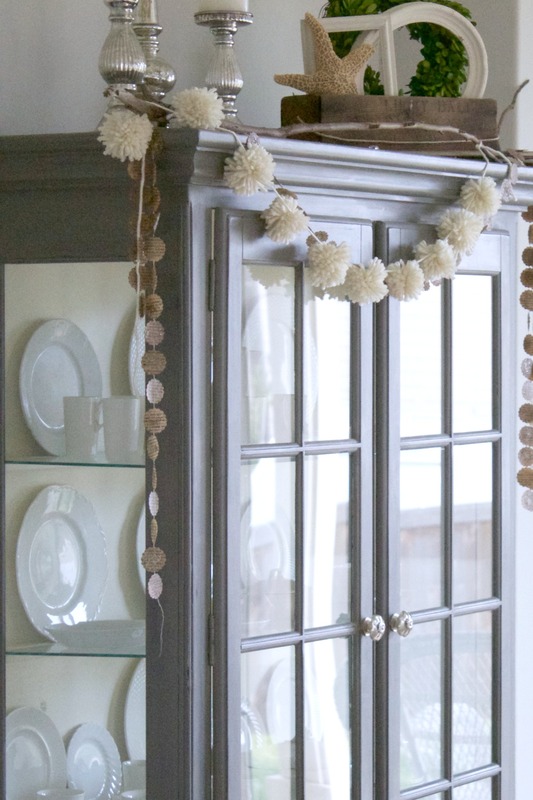 Cut another piece of yarn to the length that you want your garland. Mine ended up being about 3 1/2 feet long with 10 pom poms. 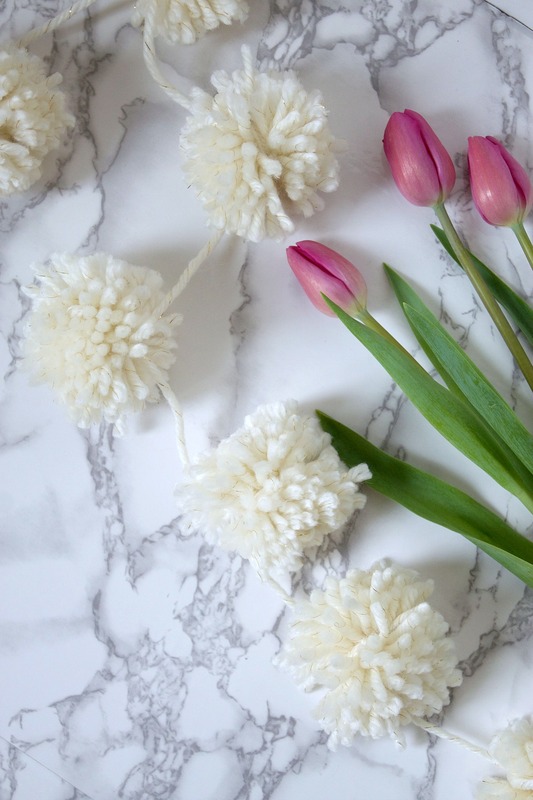 Just tie your pom pom on to the long sting with 2 pieces of the pom pom. I hope you’ll try this out. 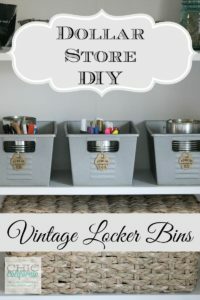 It’s a super fun craft and really easy. 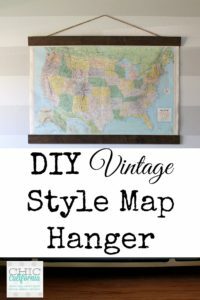 If you would like to save this project for later I’d love it if you’d pin any of the photos above to your own Pinterest boards. Happy Crafting! Like this post? 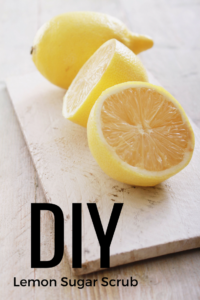 Here are some other easy DIY tutorials for you to check out!